Antique brass plate finished ceiling light with alabaster glass shades. 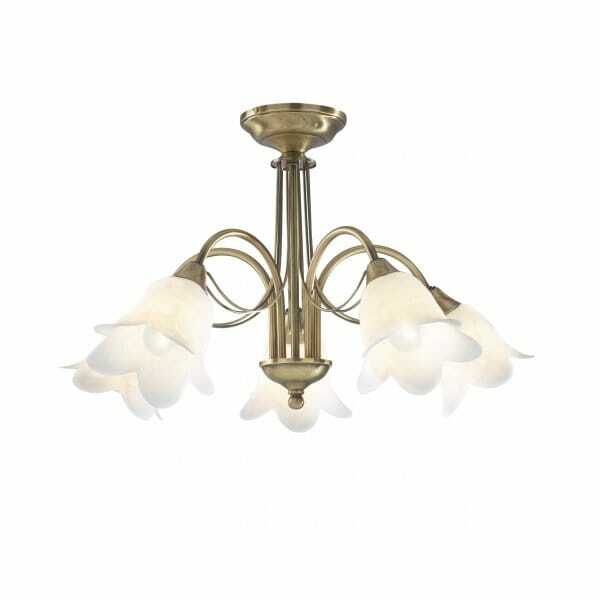 This classic light fixture has 5 protruding arms each requiring a 40 watt SES GB bulb. Will fit in well with a traditional setting, the glass shades are elegantly fluted. This is ideal for homes with standard ceiling heights, or over tables for homes with lower ceilings.